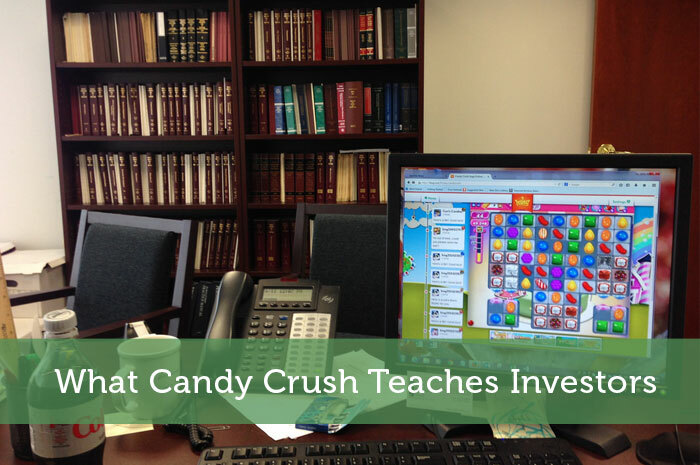 Have you heard of Candy Crush? Of course you have, if you’re a game player, you probably have it. If you’re an investor, you’ve watched King Digital, the maker of Candy Crush, get crushed with a poor IPO. OK, I get it, poor is an understatement. The KING IPO flopped its way to a record.It is officially the worst IPO of 2014 thus far! So, today, we’re going to dig a bit deeper into why the IPO flopped so badly and what this could teach you as an investor. Why Did Candy Crush Flop? This Is The Tech Industry! – In many industries singular product lines are fine, but this is the tech industry. The only thing that KING has proven is that they can create a one hit wonder video game. Sure, they’ve created tons of games. Sure, all the games they’ve created get a little play. The bottom line is, they only have one hit. In the tech industry, that will keep you going for 6 months to a year tops, and investors know that! The Gun Got Jumped – I honestly believe that KING really jumped the gun on the release of their IPO. Yes, they made tons of money with Candy Crush, but before bringing out the IPO, they should have had some big game in the works that was going to be the next big, popular thing! Many investors have a fundamentally broken frame of thought when it comes to the tech industry. They figure Google’s doing well, they’re tech, and King must do well as well. Why? Because they’re both tech! Because tech is still such a new industry, it’s hard not to roll it all in a ball and call it all the same. With that said, when investing in tech, here are a few things you should think about. Product Diversity and Innovation – Above any other metric, this is what you should consider to be most important. For a tech company to survive, they can’t have all their eggs in one basket. They need multiple popular products, and they need to continue creating the hottest, newest thing in tech. If you want to look into a tech IPO, check out companies like Alibaba that offer incredible product diversity and continue to innovate. Track Record – If you’re thinking about investing in any company, it’s important to not just think about the future, you also need to take a look into the past. Has the company been able to create a following in the past for multiple products? Has the company shown profits on a regular basis through the years? Are there documents that back all of that up? Valuation – I see it happen all the time. An improper valuation leads to higher stock prices. Then, a correction happens and tons of people lose money. Don’t be one of those people. If a valuation seems to be higher than it should be, it most likely is. Pay attention to the red flag! Ah Candy Crush, I really hope KING can do something to start picking themselves back up. Nonetheless, the horrible IPO teaches us all something. I’d love to know what you think about the KING IPO and its future, let me know in a comment below. I agree with the first comment, it must be bad karma. I read that they even wanted (not sure if they actually did) to trademark the words Candy and Saga, which is absurd considering that the idea is not at all original. I decided to buy facebook post IPO flop when it was down under $20. That paid off nicely. Those IPO flops can be great opportunities. I think all of valuations nowadays are crazy. How can these companies be worth that much money? It reminds me of the dot com boom when companies were valued so high. The sad truth was that they could never justify that valuation and most of those companies have never reached the price level since. I would stay away from these companies when they first begin trading and let the craziness calm down.